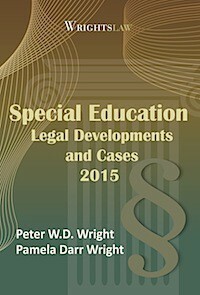 Special Ed Disputes: Litigate, Negotiate, or Mediate? 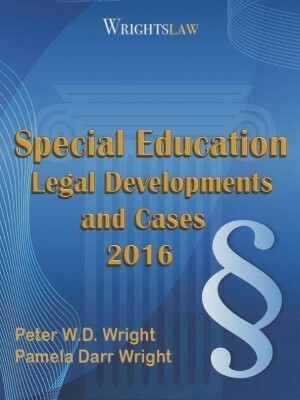 If you have attended a Wrightslaw Special Education Law and Advocacy program or Boot Camp, you know we talk about conflict and other obstacles to effective advocacy. We ask a series of questions. 1. How many of you believe parents and school personnel should be able to work together on behalf of the child, without disagreements, disputes or conflict? Many hands fly up. You are on firm ground! 2. How many of you have had a disagreement, dispute or conflict with a co-worker, supervisor or boss? More hands fly up. Laughter ripples through the room. 3. How many of you have had a disagreement, a dispute or conflict with your spouse or partner? All hands fly up as the room fills with laughter. Most of you have had conflict with people you work with. All of you have had disagreements and conflict with people you love, people you live with. Most conflict revolves around two issues: work and money. 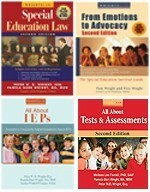 So why are you surprised and distraught when you go to an IEP meeting and you have a disagreement, dispute or conflict with a person on the other side of the table? Conflict between parents and school officials is normal and predictable. Do parents want the “best” education for their children? Of course they do! Are schools required to provide children with the “best” education? Are schools required to “maximize a child’s potential.” No. 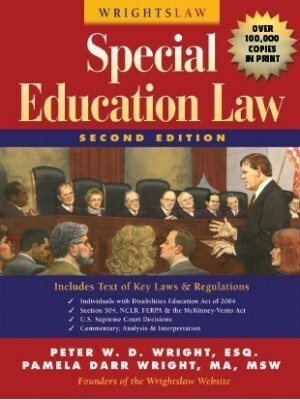 Schools are only required to provide children with disabilities with an “appropriate” education – and what “appropriate” means has been litigated since the law was enacted in 1977. School officials are also concerned about the cost of providing that “appropriate” special education and about balancing their budgets. Do you see how the perspectives of parents and school officials are necessarily different? Do you see potential sources of conflict over work and money? Economic issues lead to conflict and adversarial relationships between spouses, between workers and employers, between patients and HMOs, between taxpayers and the IRS, between private industry and federal regulators. Economic issues lead to conflict and adversarial relationships between parents and school officials. 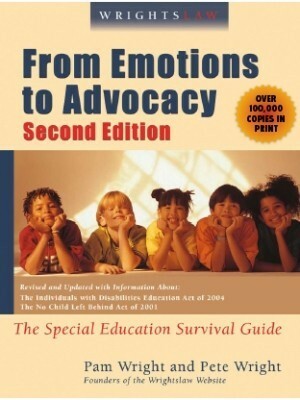 When emotions run high, as they often do in special education and divorce disputes, it becomes more likely that a Judge will resolve the dispute. After a court issues an order, what happens next? A final order that requires one party to provide a service or pay a sum of money to the other party may not end the conflict. Appeals follow. Resistance to the order strengthens. The losing party feels victimized by the Court and refuses to pay. Alternatively, the losing party stalls, which leads to mistrust and more conflict. After the U. S. Supreme Court issued their landmark decision in Brown v. Board of Education, some Virginia school boards closed their schools. 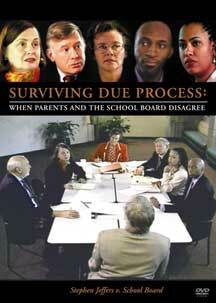 These school boards used massive resistance to avoid complying with the decision. Parents negotiate with the school on their child’s behalf for special education services. As Roger Fisher says Getting to Yes : Negotiating Agreement Without Giving In, “Like it or not, you are a negotiator. Negotiation is a fact of life. In mediation, the parties sit down to discuss problems and solutions. If the matter is successfully resolved, the parties create the settlement terms and conditions. If the parties are fully involved in the process, mediated settlements are rarely breached. The parties have an emotional investment in the success of the agreement. Negotiation and mediation are not easy. As humans, our natural responses to conflict are to fight or take flight. Despite the difficulties, we encourage parents and school officials to use negotiation and mediation to resolve disputes about educating children with disabilities. In most cases, the outcomes are better than in litigation. 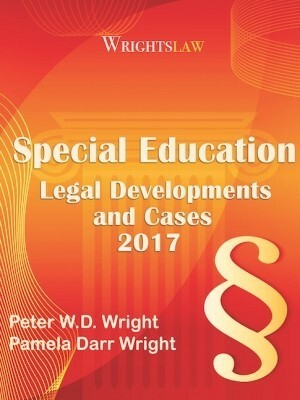 This entry was posted in Advocacy, Strategies and tagged Getting to Yes, Litigation, mediation, Negotiation, Tactics and Strategy by Pam Wright. Bookmark the permalink. I searched mediation in your website and found this article interesting. 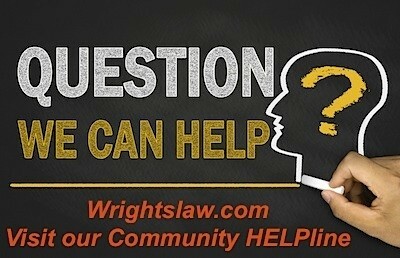 Have a question: Can a district’s attorney offer a settlement agreement during an IEP to resolve our disagreement of placement? THis happened in our last IEP. We had no legal presentation and i have yet to sign it even though my son is now at his new placement. I feel my son’s school isn’t even trying to understand my son. They escalate things in class just so they can send him home. when I tell them the solution they tell me I’m wrong 90% of the time. If your son is a student with special needs, sending him home is equivalent to a suspension. 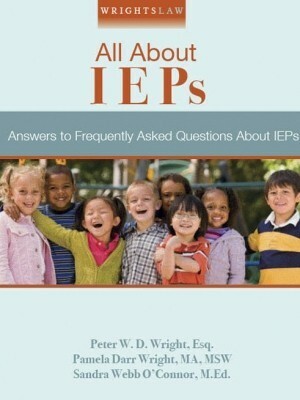 When he gets to ten days, the school must hold a meeting to determine if the IEP is being correctly implement and if the placement is appropriate. I appreciate this post so much. As a negotiator and mediator, I have been able to help parents and schools solve problems creatively and maintain their relationship and communication. Both parties are are so relieved and much more positive. Mediation is schedule for 7/3/12 and I am not clear if the District has the right to bring their attorney? even if I dont one myself and I can affor to hire one? Please clarify for me Thank you! Mediation is one of my favorite ways to solve issues. Both parties are heard and real issues get worked on piece by piece. Yes a lot of emotions are on the table but problems can get work out for all parties involved. I read your article and I agree with everything you are saying. My question is what happens when you have done everything you can to negotiate, you have gone through mediation and the agreement is breached by the district in part (the most important part)? We are so tired of the conflict. It is always there. We are not asking for the proverbial Cadillac, but the Chevrolet we have been given doesn’t have a motor and doesn’t run! My child wants to succeed in hs and wants to go to college. We are on the Spec Ed track and cannot continue on the path the school has laid out.Our child needs to take college prep courses, but the district won’t allow spec ed serv in those classes. This all boils down to funding. How can we solve this without the help of an attorney? The school will not back down on this. They are furious with us! “Conflict” has become a dirty word. Yet working through conflict is a fact of life. It is no different when our children need special education services. When we were children, we learned to work things out with our siblings. The process usually leads to closer bonds between those siblings. We learn that we can disagree and still work together. The same principle applies to school disagreements. Conflict can produce a better result than either side originally held. Building a collaborative team in school produces the best outcomes for the child. 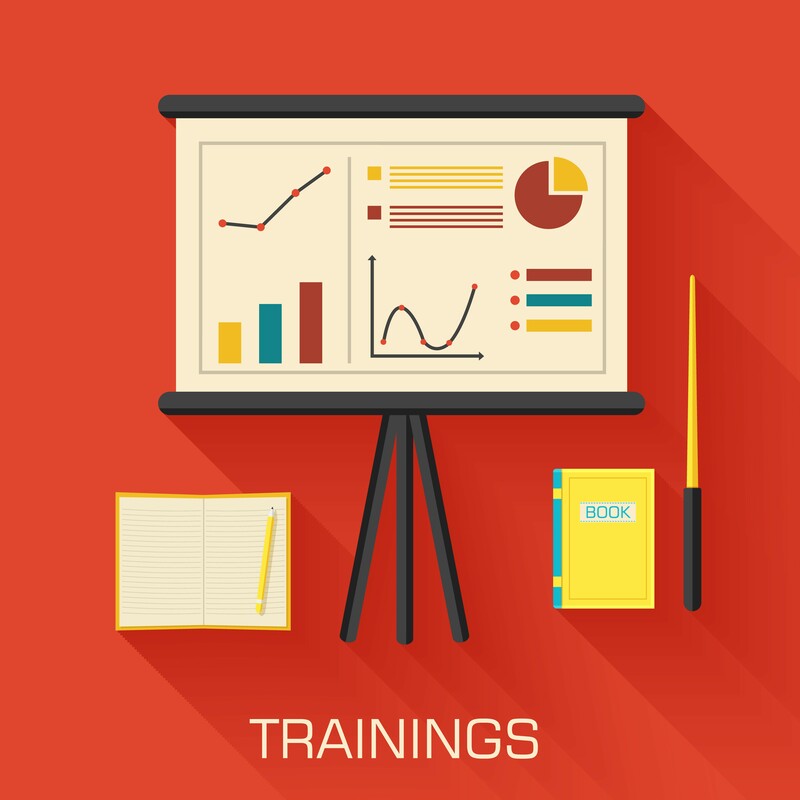 It incorporates the differing expertise of each team member. 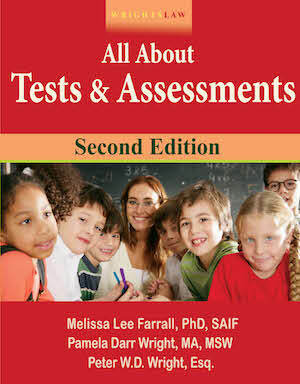 It examines different options and creative solutions. It facilitates buy in and commitment to the decisions of the team. Taking the time and effort to build a team is well worth the outcome.